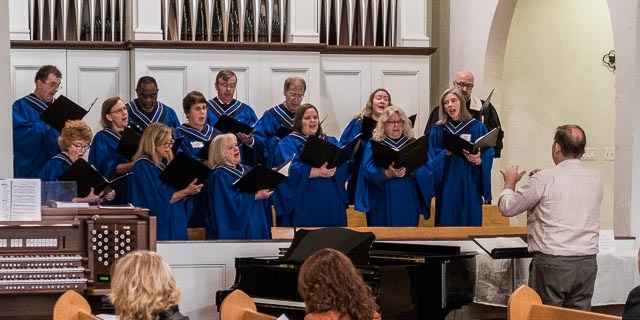 Open to all adults and high school students who love to sing, the Senior Choir provides music for Sunday worship services and other special occasions. Rehearsals are on Thursday evenings 7:00 PM to 8:30 PM and Sunday mornings 9:00 AM before worship. Singers of all ability levels are welcome; music reading is not required. The Senior Choir helps to lead music for worship and sings repertoire of many styles and genres. Repertoire includes anthems, major works; a cappella and accompanied singing. The Senior Choir is directed by MCC’s Minister of Music Seth Rosenberger.